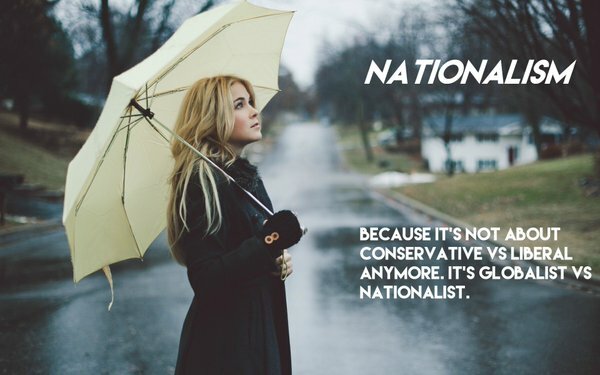 The New Nationalist doesn’t relish analyzing these “terrorist” events. But, to bridge the conversation, we will simply provide available images, videos and details being put forth by the mainstream media and other sources and ask readers to the question: What does this look like to you? Comments are welcome, but there is a fundamental rule if you participate: absolutely no gaslighting, such as calling others “insane.” One-trick-pony insults are not debate or discussion but rather cheap-shot diverting. Also, stay away from straw-man fallacies. Focus on the scene and imagery being presented. In other words, actually read the whole article and watch the video evidence. The Disqus system here allows us to quickly delete and ban gaslighters. It only takes a few seconds, so don’t waste your breath. It is alleged that the 25-tonne vehicle moving at 40 mph (65 km per hour) left a 150-foot path of devastation as it tore through Berlin’s Christmas market [see map below]. This occurred at 7 p.m. local time. Per usual, a “Muslim” was involved, first described as Pakistani and then Afghan. This time, at first, the story was he survived and was captured, but now we learn he is still at large. There is also a strange story about a dead Polish driver in the cab of the truck, although the details are sketchy. All photos used are from Daily Mail. Obviously, to stage such an event, the area would have to be cordoned off to regular Volk. In Nice, the crowd was panicked and left beforehand. Look for reports of that here. This would be a smaller-scale operation than Nice. Also, this is why CCTV footage is absolutely necessary. If CCTV is withheld (as in Nice) or seems altered or usually blurry, that is an immediate red flag. CCTV footage should permit anybody to piece this together and, in fact, close the case and quickly shut up skeptics and doubters. Therefore, there should be zero justification to withhold it. That said, in this case, we have what I am calling a one-for-the-ages “grand finale” eyewitness aftermath video [see below]. The principal issue is how does a rather massive truck get past pedestrian bollards off of Kantstrasse and move through the narrow section of the market without hitting or damaging the kiosks? According to the diagram below, the truck hit on the right side of the kiosk (stands) corridor. Reconcile this when you watch the grand finale video. This next photo shows the final resting place of the truck. It was able to make a sharp final swerve back onto the street without hitting the kiosks at the end. Quite remarkable to say the least. You will get a close up in the grand finale video. Here is another angle of this quite long truck, so you can appreciate its scale and size. With the major exception of the MUST SEE grand finale video at the end of this article, so far there are very few online photos of the truck’s path that I can locate. But the next photo does show the aftermath within the kiosk area. There are a few boards scattered around and one eating stand tipped over but, again, remarkably unscathed. The kiosks somehow survived a massive 25-tonne truck along this path as well. Clearly, judging from the windshield, the massive truck hit something and at a high angle, but what? This next jerky aftermath video shows where this massive truck cut through the Berlin Christmas kiosks, killing 12 and injuring 50. The area was enclosed enough that one should see concentrated bodies and injured. The scene is oddly — and, in fact, very oddly — subdued. Some surreal people are milling around holding Styrofoam cups. There are hard-to-identify forms laying here and there, but not many. I could only count about eight, but always check for yourself. And you will have to decide for yourself if this looks like the aftermath of a mass casualty event. We also get another look at the kiosks in the video. There is shadowy debris on the ground, but the kiosks are largely unscathed, with lights on and goods nicely laid out. Yet, in the next video below, “an eyewitness” claims that the hut or kiosk where she purchased wine “was completely decimated,” that the lorry “was crushing through huts” and “people were pulled out from under [the huts].” She says, “It pulled the lights down, and it went dark.” Similar tales have been forthcoming from other “eyewitnesses”. This is not at all confirmed in either of the videos presented in this article or the photo. The final video almost looks like it slipped out and may very well be from a real eyewitness who wandered on set. He walks right up to the resting truck. You get a complete survey from all angles. This remarkably revealing video may not be up long, so save it. You will see the unscathed kiosks, and the lights still up including some lower level strings. How did the tables at 1:10 (on left), 1:20 and 2:05-2:10 make it unscathed? There is even an untouched tree in front of a kiosk. Hundreds of people are still on site, casually milling around. There are a few people sitting or laying on the ground — but 12 dead and 50 injured? Look for yourselves. The scene definitely doesn’t corroborate the narrative or “eyewitness” accounts. My goodness, who wrote this script. A 10 year old? NOTE: If the following video is scrubbed from Youtube, it can be viewed at Liveleak here. 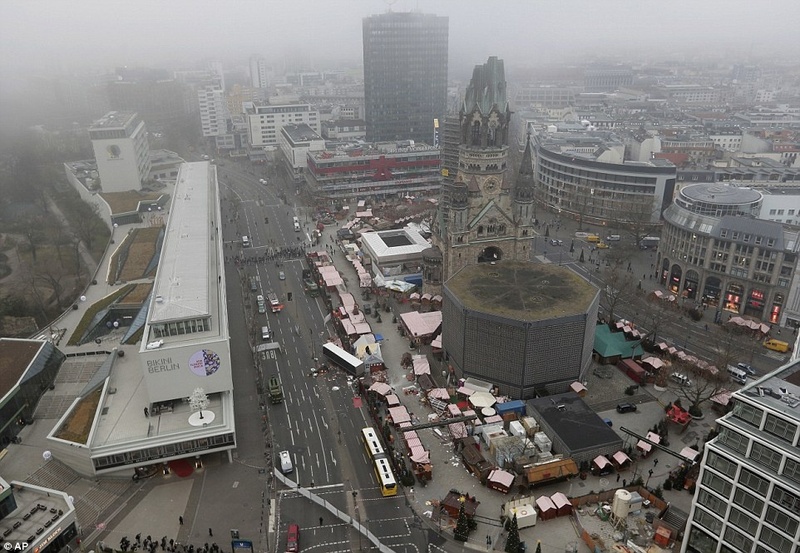 10 Comments on Something Happened at the Berlin Christmas Market — The Question Is What? Hey. Have you seen this video a German citizen was present at the scene and filmed the trucks path and the truck before ambulance arrived and police sealed the scene, no dead seen nor injured. Par for the course: Germany’s Spiegel reports that investigators are looking for a Tunisian after an ID card was found in the truck. These “terrorists” are smart enough to out wit sophisticated defense systems and intelligence agencies but dumb enough to ALWAYS leave their incriminating identification papers and passports behind. To me the Russian ambassador thing looks very theatric. As redefininggod.com points out, the wound appears fake, there is no blood splatter, there are no bodyguards or other security etc. Also the journalists / cameramen look and act illogically – your natural reaction after the first bullet is not to take further pictures, etc. 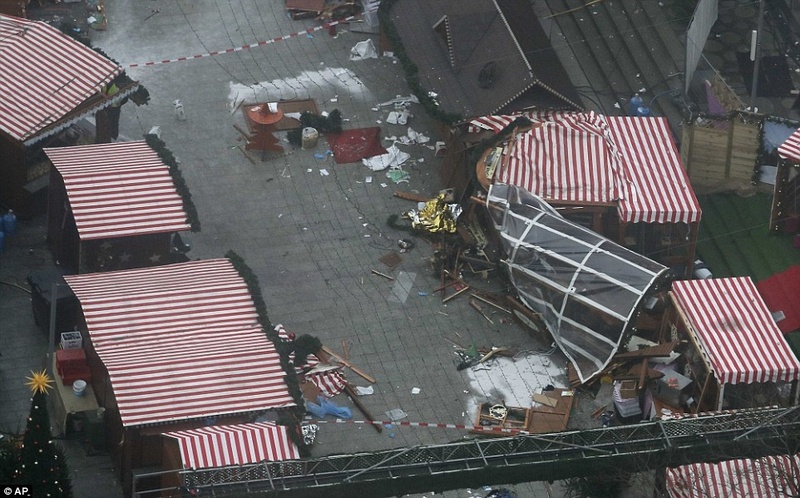 So if the truck went through the market, passing by about 5-6 kiosks (per side) it must have entered from the bottom left corner, from the left side of the lower left hut visible here with the picture title:”Overhead: This is a clear view of the path the lorry took through the now-destroyed Christmas market in central Berlin”. This is somewhat different from the map. The overhead shows about four more kiosks on left side than the diagram. Super magic truck did appear to clip a kiosk on the right side on the big hairpin turn while missing a table in the middle of the corridor. Really? All true and more. FOX showed side by side videos of the truck . In one we had near daylight which is highly unlikely this time of year at 10pm in Germany. Supposedly they were in real time. The right sided video was clearly night time but had that eerie, pink, disco lighting that blinked off and on like flashing lights. There were no guards around the truck and several people just strolling past it BEHIND THE POLICE TAPE. Lots of parked ambulances with flashing lights and only 1 incident of someone being carried out on a stretcher. Lots of police and other agencies dashing about but no one was doing anything. Word is that Merkel and Germany are not playing the game anymore. She’s planning to deport tens of thousands if she can round them up. This looks like an inside job so Merkel will use it to justify something. Latest word is that the truck was Polish and so was the driver who has not been apprehended, but someone else was! The other passenger died. I guess we’ll be watching Poland- second or third for political trauma between the Ukraine and the Balkans.